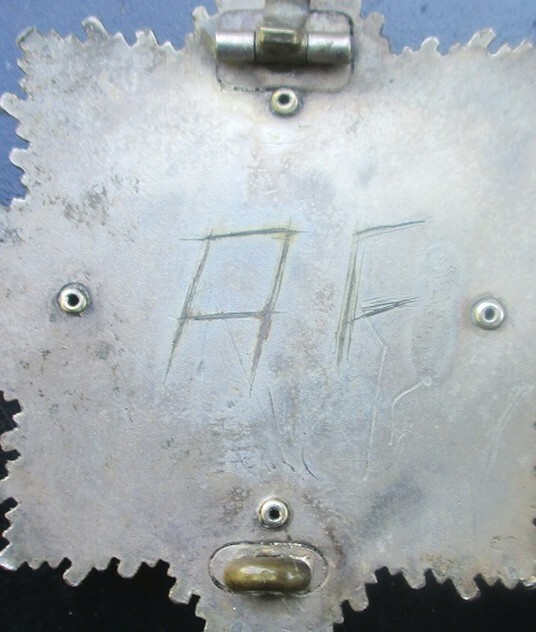 German Cross in Gold from a large group to Oberfeldwebel Alfons Förderer of Pioneer Battalion 205 of the 205th Infanterie Division for service in the Kurland pocket. 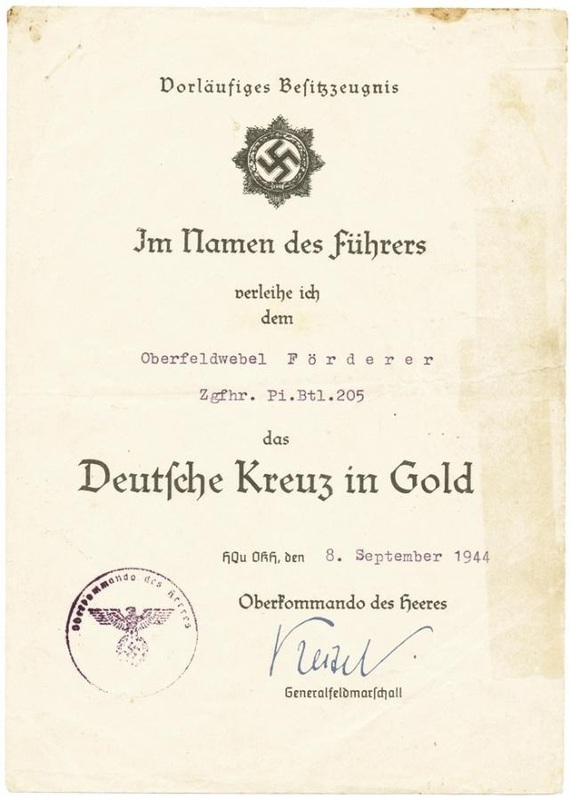 Oberfeldwebel Förderer was awarded the German Cross in Gold on 8 August 1944 and his award is a 20 marked (Zimmerman) cross with the his initials scratched into the reverse. 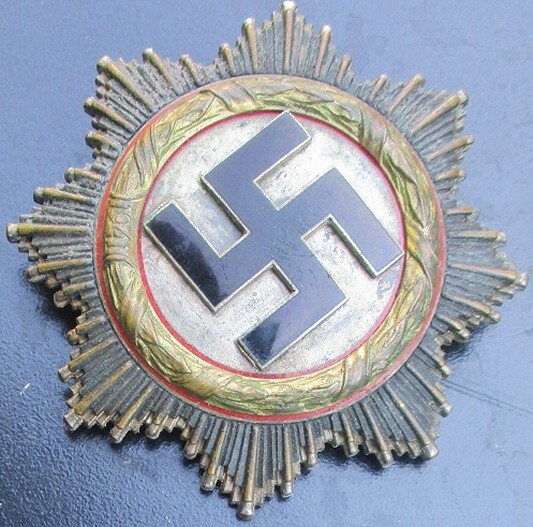 This is a well documented medal and provenance is certain. 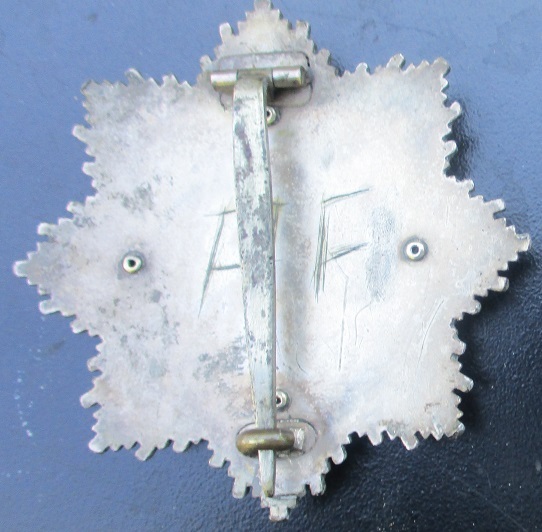 The badge highlights are lightly worn but there is no enamel damage. The 205. 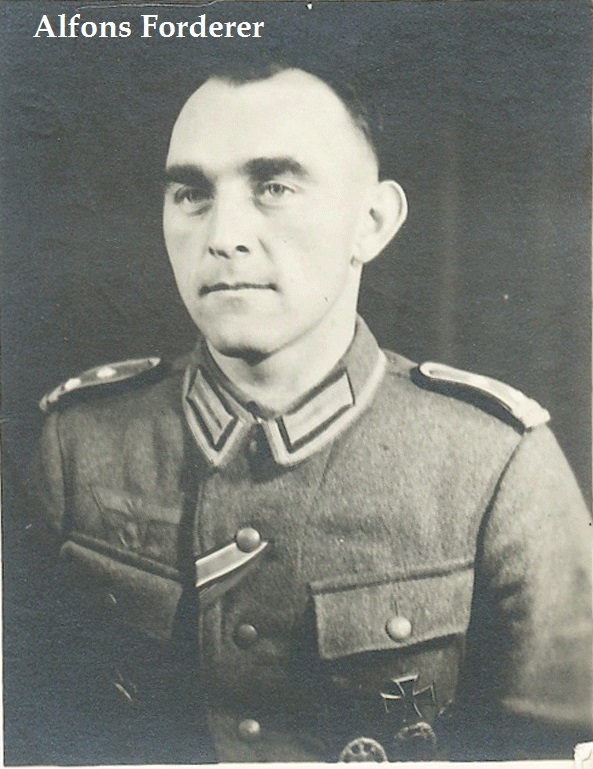 Infanterie-Division was was mobilized a few days before the invasion of Poland in 1939 and sent to France near the end of the western campaign. It then served as a garrison against potential any Allied invasion until early 1942. It was then sent to the Russian Front, where it served with Army Group Center in the "little Stalingrad" at Velikiye Luki over the winter of 1942-1943. The division was transferred to Army Group North in late 1943 and eventually trapped in the Courland Pocket, where it surrendered to the Soviets in 1945.